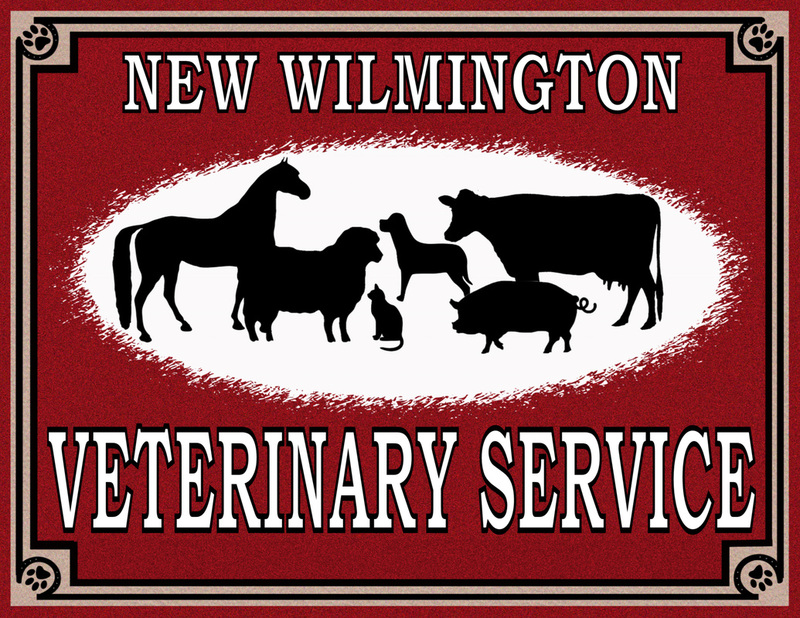 ﻿New Wilmington Veterinary Service is located in New Wilmington, PA. We provide veterinary services for cats, dogs, alpacas, llamas, sheep, goats, horses, beef, dairy, and pigs throughout Northwestern, Pennsylvania. Our staff is very knowledgeable with years of experience in the veterinary industry and are ready to assist you with your veterinary needs. We have appointments available for our companion animal clients at our newly updated clinic. Call us today to schedule your pets yearly check up and vaccination update. Visit our Services page to learn more about what we offer for our companion animal friends. For our farm animal clients, our doctors will come directly to the farm. We will proved services for anything from vaccinations to herd health checks. Visit our Services page to learn more about what we offer our farm animal clients.